Its been so crazy that I have actually had this LO sitting on my desktop for two weeks so it will be nice to finally get it posted. Trying to juggle the working/playing thing now in my life. I am sure that this will settle down a bit since this is a part time job but judging from the way the store looks when I surface my head from my training...omg this store is crazy busy. We shall see. 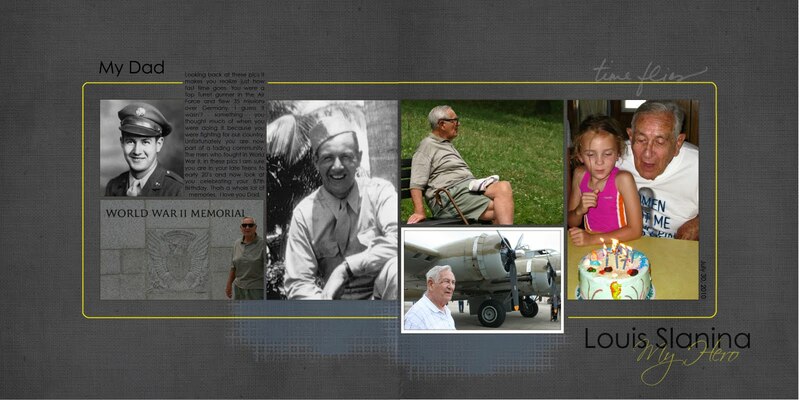 So here is a LO I put together of my Daddy. Its kind of a combo of then and now and how life kind of slips out of our hands. So be good to each other cause you just might not get a second chance. Enjoy and hopefully I will see you soon.